A BAMSL membership offers numerous benefits to enhance your professional success. FREE 1-hour CLE every month ($240 value). Access to exclusive member events, including the annual Member Holiday Party and Rendezvous on the Roof. Up to 50% discount on CLE seminars. Subscription to the monthly St. Louis Lawyer magazine. Subscription to the quarterly St. Louis Bar Journal, a scholarly publication. Complimentary use of the BAMSL Bar Center Guest Offices, Conference Room, Boardroom, and Classroom. Access to BAMSL Legal Placement Services for employers looking to fill a permanent position and for legal professionals seeking employment. Access to exclusive interest and practice area discussion lists. Numerous discounts on professional and personal services. Members, access your member benefits to view detailed descriptions of all discounts and to find out how to use them. 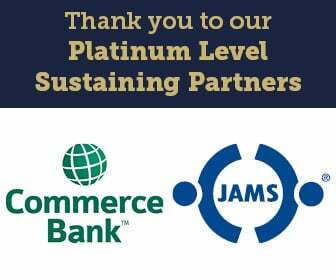 If you are not a member of BAMSL, please Join today and you too will have access to these great benefits.